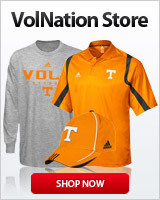 Buying VOLS Game Used Jerseys!!! I real want that white autographed arian foster jersey! but if your looking to buy a UT jersey, it isnt game worn, but its signed by peyton manning, al wilson, erik ainge, robert meachem, terry fair, and derek dooley? i am very interested in that Foster jersey! Can you post the .xls? I'm more than interested. If your PM isnt working, please email me the xls at cooleyatcharterdotnet. I also have some from around that time that I might be willing to sell or take offers. Chuck Webb, Von Reeves, Carl Pickens, Anthony Miller, Heath Shuler, Alvin Harper, JJ McCleskey, Earnest Fields, William Howard and Andy Kelly...some have the 100 years of Volunteers patch on them. Here's the list. Not all years may be correct but they're close. My PM my not work in or out because of my number of posts. Anyone know how to get a hold of DOCTORLOOMIS & DeerPark12 to let them know I'm looking for them? I'll post some pics very soon. Just wanted to let you know I saw t his thread, but Mrs. Deer Park put an end to my jersey habit. Sold a good chunk of what I had to a friend, I'll forward him this info. I also have some from around that time that I might be willing to sell or take offers. Chuck Webb, Reggie Cobb, Carl Pickens, Anthony Miller, Heath Shuler, JJ McCleskey, Earnest Fields, William Howard and Andy Kelly...some have the 100 years of Volunteers patch and I have a Chuck Webb from the Cotton Bowl with the bowl patch on it. Hey there....I'm very interested in your jerseys. May I see photos? I will try and get some pics posted tonight. You wanna email the pics to me? One of my roommates used to play and he left some jerseys and paraphernalia in his closet when he moved out...I decided to take them. This was back in 2004. They were prob practice jerseys, but he brought some goods back from a bowl game once. I should go through that stuff sometime. Yes, what's your email address? I wasn't able to take the pics yesterday, but hope to be able to do that tonight after work. Gonna try to take some pics tonight and I'll email them to you. How sweet would these look framed together? A true piece of Vols history and maybe the best tandem ever. Any info, prices, pix that you may have. Looking to stock my office.